You’ve landed on the Colorado Pest Management blog on all things pest control! 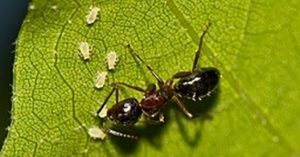 On this page, you’ll find a variety of educational articles on pest control, like How Integrated Pest Management Supports The Ecosystem. As Denver’s leader in residential and commercial pest control solutions, our pest control team is dedicated to helping residents and business owners learn the importance of a pest-free space. Pests like spiders, termites, ants, and cockroaches can wreak havoc on the structure of your home or business, but pest infestations can be controlled with regular treatments. Colorado Pest Management can help ensure your building is free of unwanted pests, and we can also help rid your property of voles, birds, and other wildlife. If you need professional pest control in Denver, get a free estimate or contact our exterminators today.